It’s interesting to read this article from 1909 reviewing the work of Mr. A.A. Scott and illustrating his 1902 Scott, which has one of his engines fitted to a Premier bicycle. While most motorcycle manufacturers used 4-stroke engines, Scott, of course, persevered with the 2-stroke. This 1902 Scott is a classic example of an early cyclemotor. You can compare it with the 1914 Scott in the review of lightweight motorcycles further down the page. Machines developed from bicycles with engines attached, at the turn of the century, to fully-fledged motorcycles by the end of the decade, though ‘Lightweights’ were still manufactured in the tradition of the earlier ‘cyclemotor’ style of machine. This Wolf motorcycle advert from 1909 offers a comparison between their Heavyweights and the Lightweight models, which have much more of a cyclemotor appearance. By the way, observe (above) that the Wolf motorcycle was manufactured by Wearwell Cycle Co who, like most other cycle companies, moved into the new motorcycle or automobile industries. (Not all cycle manufacturers made complete vehicles, as components were an equally viable proposition). By 1908, Wearwell was building an average of 20 Wolf motorcycles a week, compared with a weekly production figure of around 500 cycles. Large capacity motorcycles of this era were difficult to ride; they were usually direct belt-drive with no clutch, and often needed a push-start …not so much of a problem with a 1.5hp machine, but not so easy with a heavyweight. There was definitely a market for lightweight machines, as there were many who wanted to move up the transportation chain from bicycles. Women were also becoming interested in motorcycles, and the manufacturers were keen to exploit every new area of the market. 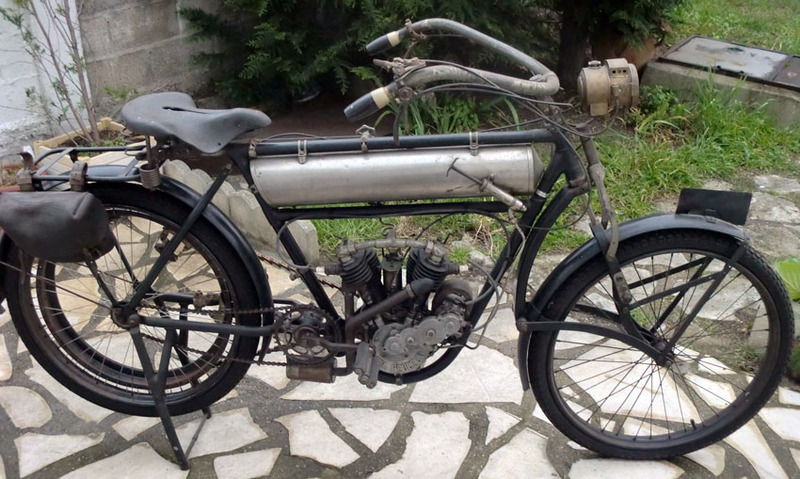 Introduced in 1910, the Peugeot Moto Legere ‘Type MD (below) with a 333cc V-Twin is a good example. By the way, these are Truffault front forks. 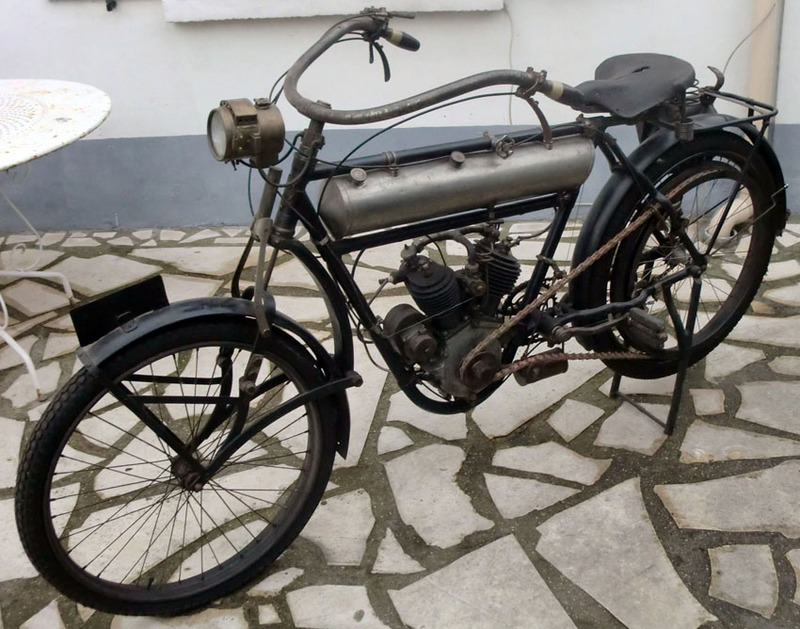 Peugeot observed a need for a cheap lightweight motorcycle and, in 1910, the company introduced this light V-twin motorcycle, which subsequently enjoyed enormous success. 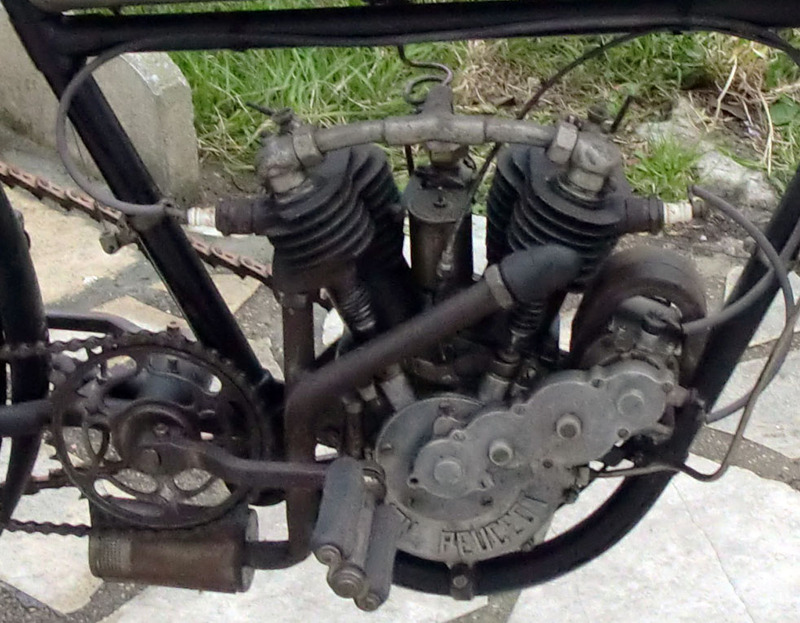 The Moto Légère MD was equipped with a 333 cc 45 degree V-twin engine with automatic inlet valves, direct belt transmission, Bosch magneto, single lever Claudel carburetter and Truffault front forks. The little machine proved easy to start, easy to handle and was very reliable. Moreover, it weighed only 40 kg and was able to sustain a practical running speed of 60 km/h. In 1913, they updated the machine as Type MD2, with a 380cc engine and, the following year, considering the cylindrical petrol tank by now outdated, redesigned the machine with a rectangular tank – this motorcycle saw considerable success in the gruelling Paris-Nice Road Run in April 1913, so subsequently became known as the Paris-Nice. This issue being specially devoted to two-stroke and lightweight motorcycles we give below a list of 37 two stroke machines on the British market, and 18 lightweight motorcycles fitted with four stroke engines of a less capacity than 300cc. Motorcycles had evolved rapidly by 1914. Though still belt-driven, clutch and gears had by now been introduced. WW1 saw further developments and, after the war ended, chain-drive replaced belt-drive, and motorcycle design remained pretty more-or-less the same throughout the 1920s. Given the amazing advances between 1904 and 1914, it’s interesting to observe a nostalgia, in 1914, for ‘the old days’ as epitomized in the article below.